1998 was the start of a good point in Mets history, with even better days to come in the near future as the club would make two consecutive post season appearances for the first time in franchise history in the next two years. When the Bobby Valentine era began in 1997, there were signs of good things to come. 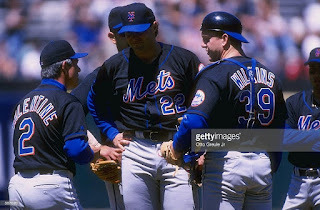 That year the Mets won 88 games, the most wins they had had in seven years & also the first time they were over .500 since 1990. 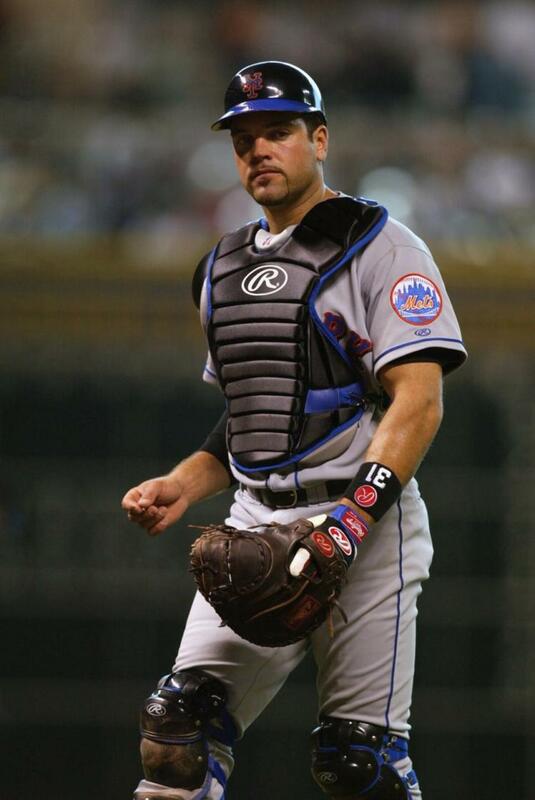 On May 22nd, 1998 Mike Piazza arrived & the Mets had their second team Hall of Famer. A superstar player who would get the team to the World Series two seasons later. 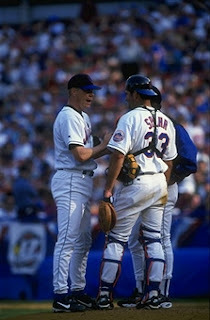 But before the greatest hitting catcher of All Time arrived, the Mets were in turmoil at the catchers position. 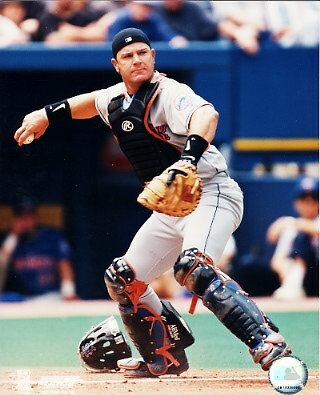 Todd Hundley the Mets All Star catcher, had the position locked up since 1992. 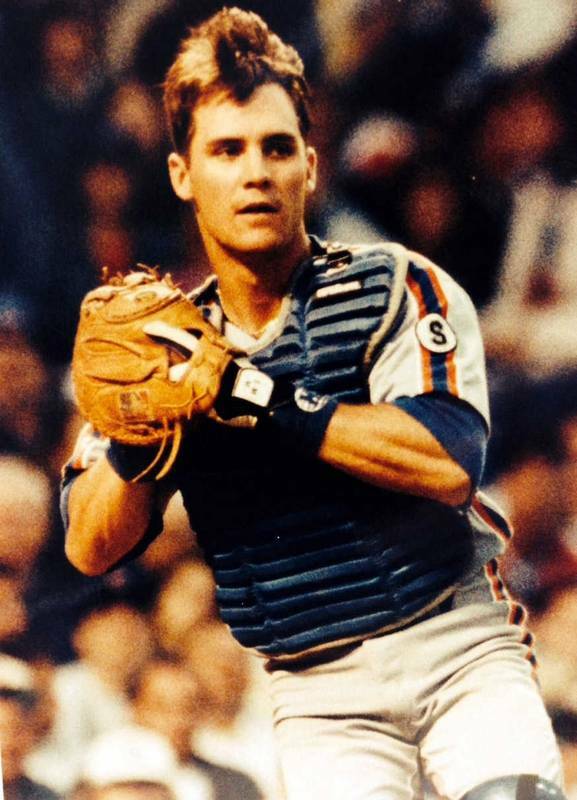 Two years prior (1996) he set the All Time HR mark by a catcher, as well as a Mets single season HR record with 41 round trippers. Hundley became a celebrity in the Big Apple, appearing on Saturday Night Live & enjoying the night life, something that didn't sit well with his managers. Jim Tatum would play four games a catcher, getting one start. He would play in 35 games with the '98 Mets at the end of his five year career. He hit just .180 with 2 HRs & 13 RBIs. Rick Wilkins was a veteran catcher who had played seven years in the majors, mostly with the Chicago Cubs (1991-1995). Houston Astros (1995) San Francisco Giants (1996-1997) & Seattle Mariners (1998-1998). He was came to the Mets for minor leaguer Lindsay Gulin on May 8th, to help out the catcher situation. Wilkins would play in just five games for the Met, four full games, getting two hits & RBI in 15 at bats. Alberto Castillo had been with the Mets since 1995, seeing limited action through the years. 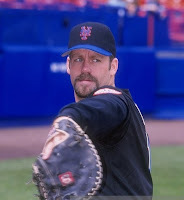 On Opening Day 1998, he drove in the game winning run, in a 1-0 Mets, 14 inning victory at Shea Stadium over the Phillies. Castillo saw the majority of time, with action in 26 of those first 44 games, but clearly he wasn't the answer. In 38 total games with New York that year he hit .205 with 2 HRs & 7 RBIs. On a positive note he threw out 54% of would be base stealers (15 0f 28). He was granted free agency at the end of the season. Tim Spehr was in the Mets minors & would also see lots of playing time before Piazza's arrival, including being the starting catcher on Opening Day. But in 28 games he batted just .137 with three RBIs. He threw out 7 of 12 base runners trying to steal, 37% a bit better than the league average. By the end of August he was gone too, getting purchased by the Kansas City Royals. Todd Pratt would get two starts at catcher in early May, he would hit a three run HR in his first& have a three run triple the next day as well. Pratt would emerge as the best of the bunch, becoming Piazza's back up catcher the next year & forever being remembered for his walk off HR, in the NLDS over the Arizona Diamondbacks, advancing the team to the NLCS. In 1998 he batted .275 with 2 HRs 9 doubles 7 18 RBIs in 41 games. Todd Hundley would return in July but only see two games behind the plate. 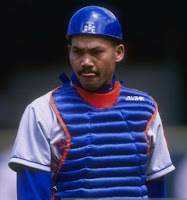 The Mets experimented with him in the outfield but that didn't work out, in December he was traded to the Dodgers for Roger Cedeno & Charles Johnson. Jorge Fabregas would come over on the July 31st trade deadline in exchange for Nelson Figueroa & Bernard Gilkey.